I catch myself saying saying some of the dumbest things to my kids at times. OK fine, it's more like once or twice a day. I think we all have these moments when we ask ourselves "Did I just say that?" There are some things that I say all the time that if my kids were older, they would have some good come backs. I have no doubt that my kids will be 3 little wise apples, after all the apple didn't fall from the tree right? 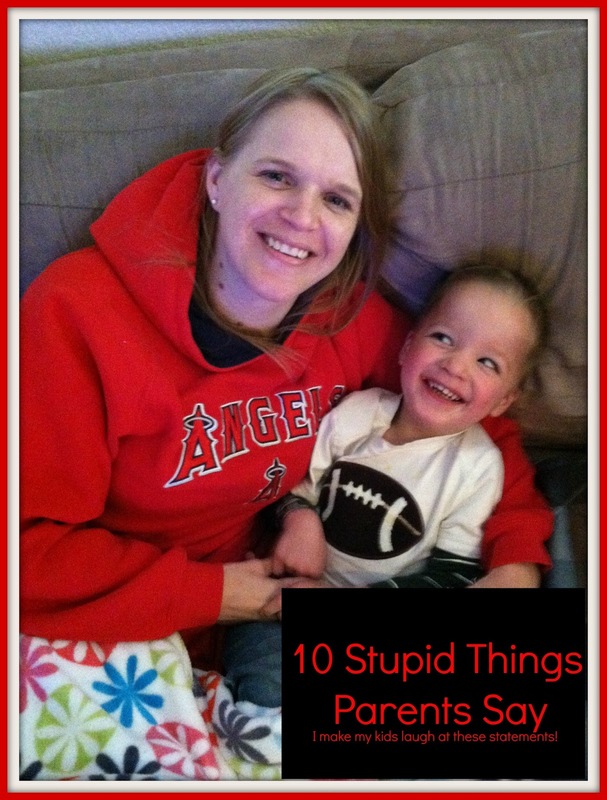 I thought I would make a top 10 list to amuse myself and I hope you too! So did I miss any of your stupid questions or statements? LOL, I can so relate! I'm always asking 'Is it time for a nap?' They pretty much just laugh at me and continue running round like headless chickens. Makes me laugh when I say 'Wait 'til your daddy gets home', it's a complete cop out but by then they have driven me crazy and I can't think of anything else to say or do! Tonight I said to my kids, "Please don't splash all of the bath water out of the tub!" To which I'm sure they thought, "Ok, we'll just splash most of it out then." I have no idea what I was thinking.